It's always a great buzz when we run one of our engines for the first time...especially when it is a brute like this one. This 408 Cleveland was built in-house by our engine guru, Craig 'Jackie' Johnston. And I am proud to say it started first go. 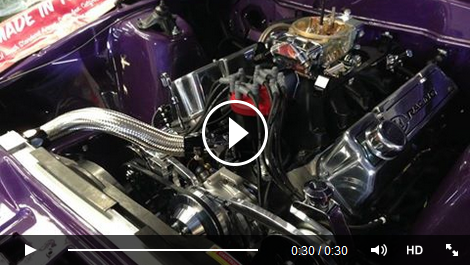 How good does it look sitting in the spectacular engine bay of our customer's purple XE Falcon.